"Captivating . . . Even before he met Simon, he found his voice, and not just any voice. It is perhaps one of the most magical, alluring voices in music history . . ."
"Charming and poetic; uniquely written and unconventional . 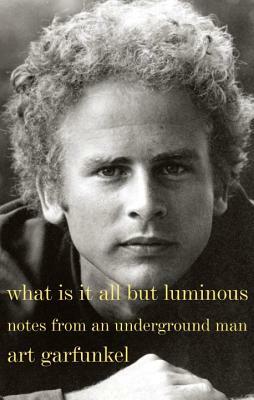 . . Garfunkel can now add memoirist to his resume of singer/actor/pop culture icon." "I was quite blown away with what a strong, beautiful and intimate memoir What Is It All But Luminous turns out to be. It is so well written and has so many wonderful little scenes and insights, delicious quirks of Art Garfunkel. I loved it; it's a very special pleasure."